It’s a great conversation starter though – the editors AND designer of my book have the same tiles as me in their bathrooms (from Topps Tiles – the BEST place for tiles on a budget), so I knew they had the same taste as me right away. And at a pub birthday drinks on Saturday, people told me about the amazing tiles in the ladies’ before I even needed a wee (my friends know me so well). Things got a bit out of hand earlier this week, though, when Mr Brogue and I were walking home from a night out. 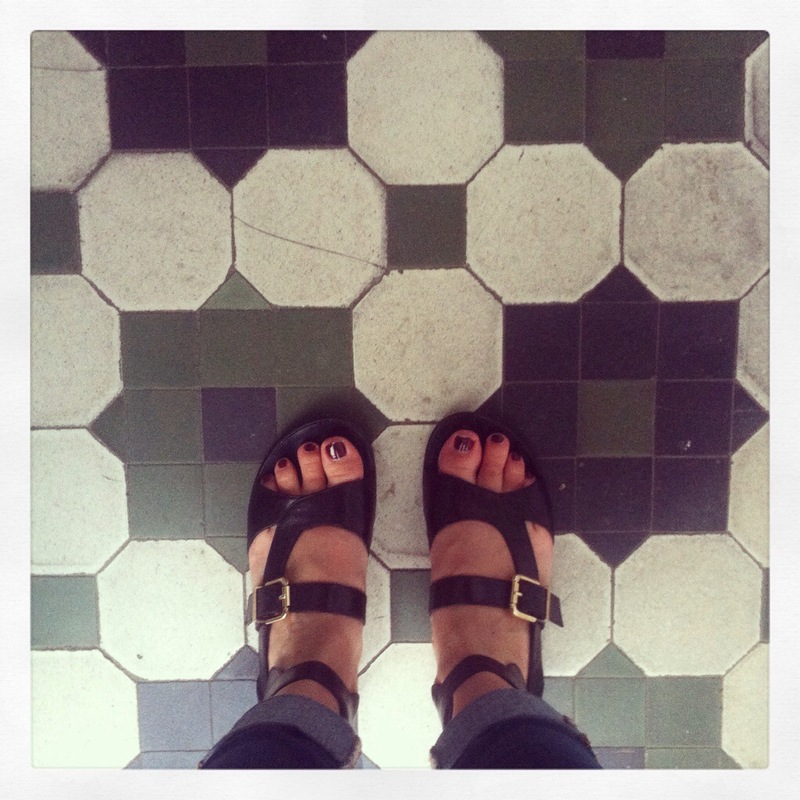 This particular street was littered with original Victorian tiles on paths and in doorways, and I couldn’t help myself. 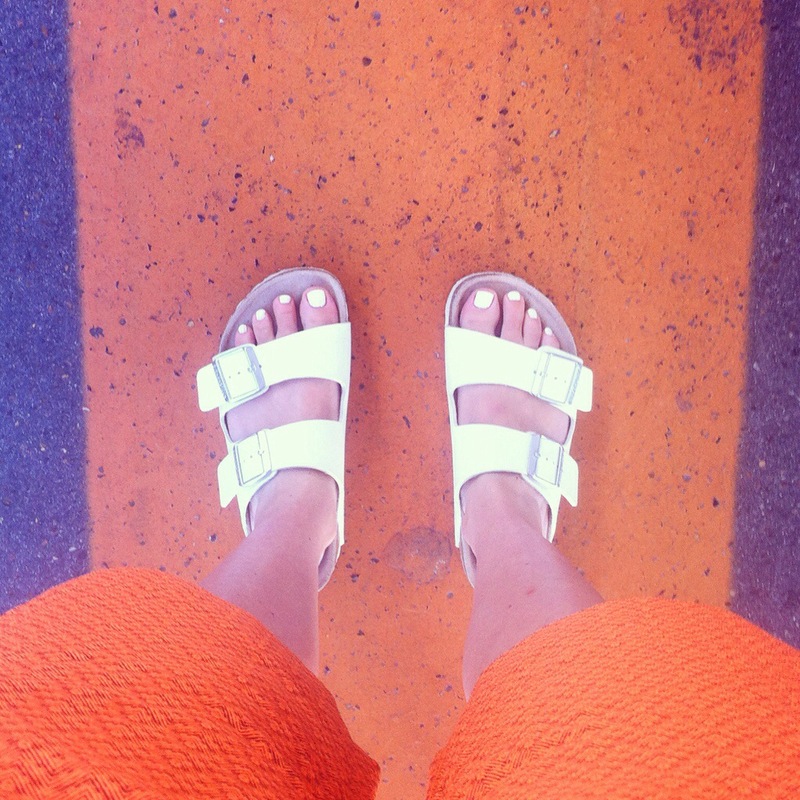 Suddenly, I was standing in a stranger’s porch snapping my (very comfortable) Havva sandals. Thankfully, I didn’t get caught! 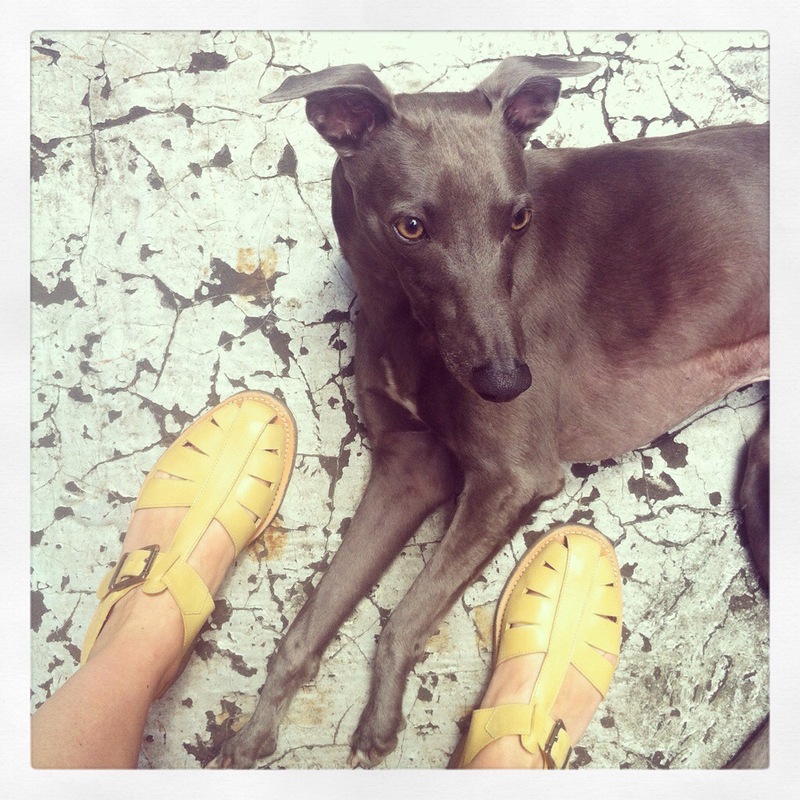 And while it’s been a really good week for tiles, nothing beats a beautiful dog lying on a crackled floor for a perfect shoefie (that’s a shoe selfie): meet Barry the whippet. Swoon! 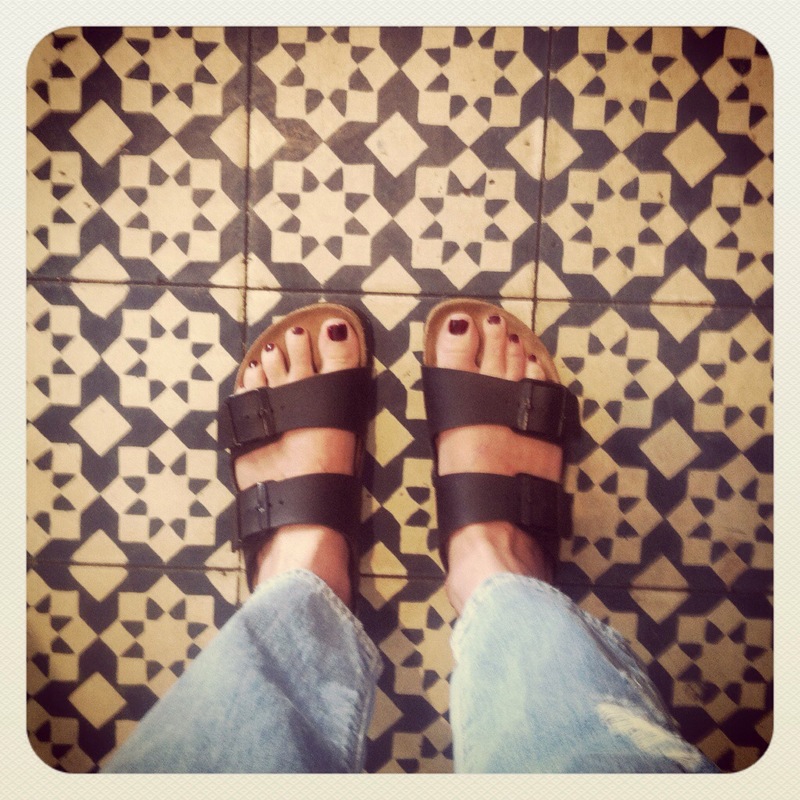 Tagged with: birkenstock Havva shoefie tiles whippet Y.M.C. 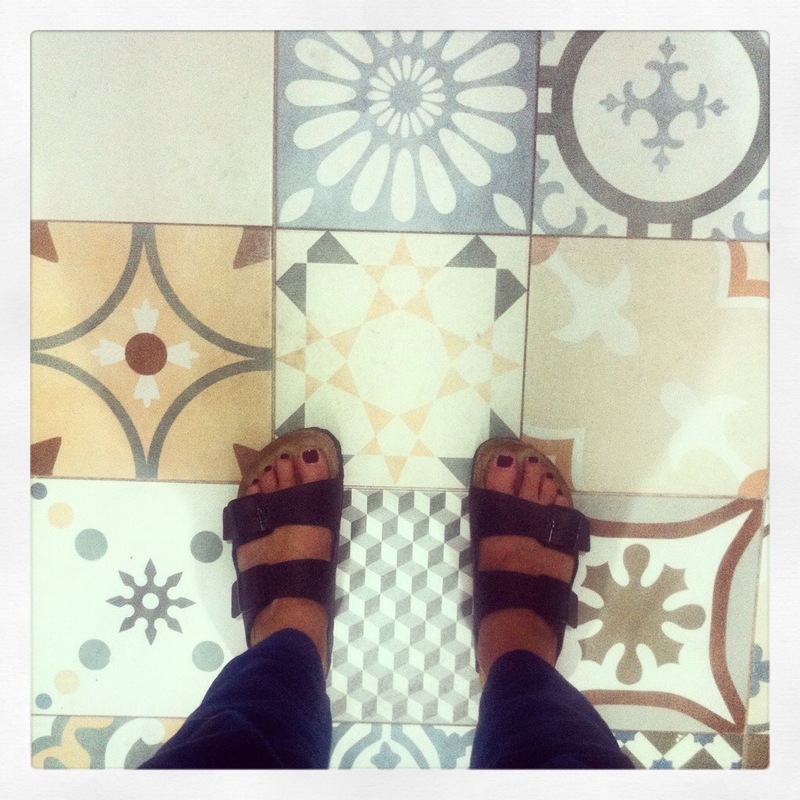 Great shoes, great tiles and gorgeous dog!